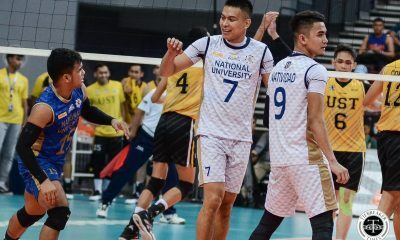 Defending UAAP Men’s Volleyball champions National University Bulldogs punctuated their elimination round campaign, defeating erstwhile-unbeaten University of Sanro Tomas Tiger Spikers in four sets, 25-22, 18-25, 25-22, 25-20, and stole the top spot going into the semifinals of the 2018 Premier Volleyball League Collegiate Conference, Sunday morning at the FilOil Flying V Centre. Madz Gampong paced the Bustillos-based squad for another game, puling off 15 points off 12 attacks, two aces, and a block. 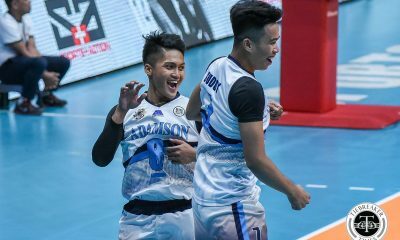 Returning James Natividad and Nico Almendras were the other Bulldogs in double digits. 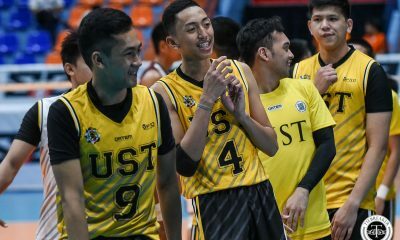 Turning it around after a sorry second-set loss, the reigning kings of the UAAP leaned on their net defense to stop the league’s best attacking team. Center Kim Malabunga led the net patrol with four rejections, a third of the team’s total of 12. That championship experience pulled through in the end even as the Tigers mounted a late comeback in the four set. 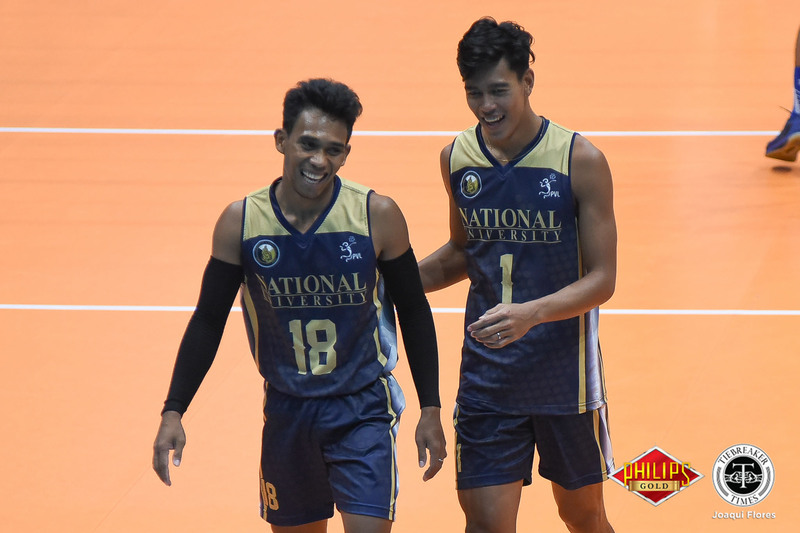 Captain Francis Saura fired a quick kill to send the Bulldogs into the next round with the top seed. 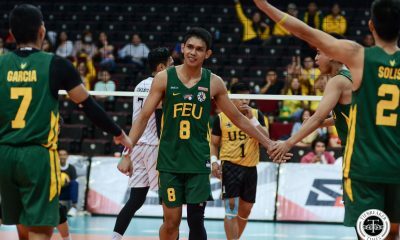 National U (8-1) will face the winner of the playoff between the CSB Blazers and the FEU Tamaraws tussle. 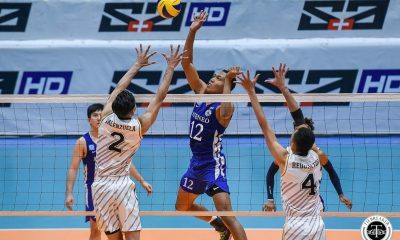 Led by rookie Genesis Redido with 17 markers, the Golden Spikers were relegated to second spot and will take on the Adamson Soaring Falcons in the semifinals. NU 3 – Gampong 15, Natividad 10, Almendras 10, Malabunga 9, Mondero 6, Saura 4, Retamar 3, Dayandante 0, Ancheta 0, Marcos L, Sumagui L.
UST 1 – Redido 17, Medina 13, Sumagaysay 11, Umandal 5, Carodan 5, Tajanlangit 3, Corda 2, Buro 1, Sawal L, Mendiolla L.